Five people won a new CD, [Eleven Fire Crackers], by Ellegarden, the Japanese pop-punk band. 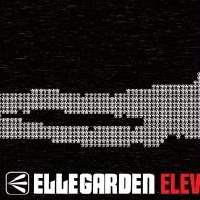 Note: Ellegarden contest extended to 11.15.07. I have to travel for a few weeks, and I won't be able to make the arrangements for winners until then. Except for the occasional Japanese, they sound like a lot of other "New Rock" bands that are popular in the US right now, in that post Green Day style with indie tendencies, plus some early-years Triceratops. [Eleven Fire Crackers] is a highly listenable and accessible album, and it's their first relese on the Nettwerk label in the US. They've been kind enough to supply a few of the CDs for this contest. Each of the 5 winners will walk away with a brand new US version of this CD, autographed by the band on the cover insert, given to me for free especially for this contest. It has eleven songs, as per the title. Don't you want to win this fabulous album? All you have to do to enter is to e-mail me, and use Ellegarden Contest as the subject. That's it. Your email address is your entry. You can enter until 10.31.2007, and the winners will be contacted at that time. Only residents of the United States can win, since I'm not shipping abroad this time - sorry about that. I expect some entries, so don't delay. If people respond, I'll consider more contests soon. Your email address and other information will never be seen by anyone else, or used by me for any reason, except to contact the winners.